Fall Decorations – arts, ink. Happy Halloween! It is a little late to decorate your dorm room/apartment/house for Halloween, but don’t start putting out your Christmas decorations yet. You can still decorate for the fall season. 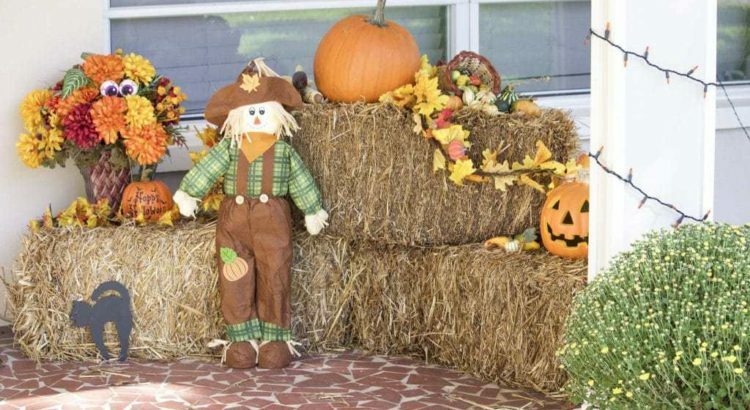 Here are some fall decoration ideas that will help you celebrate the season. My house is always decorated with hay bales and corn stalks on our front porch. This is generally decorated with our Halloween decorations of spider webs and ghosts in the front yard, but after Halloween we take down the Halloween decorations but keep up the corn stalks and hay bales. An easy decoration for the fall season is to put fake orange, yellow, and red leaves around your house. You can put them around the coffee table, in bowls, and on ledges. This will give your apartment color and make it brighter so that your apartment is not so dark as the sun sets earlier in the fall. Another way to make your apartment or house brighter is to buy and light fall scented candles. This will not only light up your home but it will also make your home smell like fall. This is not a good idea for a dorm room because you are not allowed to have candles in the dorms. Having a couple different scented candles will mix things up with your house always smelling wonderful. An alternative to candles if you do not have a lighter or are not allowed to have them, like in dorm rooms, is a scent that you plug into the wall that will dispense a specific scent throughout the day. This is also more discrete and does not take up much room in your home. Other ways to decorate for fall that are not Halloween related are to have pumpkins on the inside or the outside of your house. Pumpkins are not just for Halloween, jack-o-lanterns are for Halloween. If you have pumpkins that are not carved then you can use them for decorations until Thanksgiving. You can potentially have painted pumpkins to decorate for fall, but the paint has to be a neutral pattern and cannot be too loud. A silver or white painted pumpkin with polka dots or chevron pattern is good for decorations, but a teenage mutant ninja turtle pumpkin is not a fall decoration. The last way that you can decorate for fall is to have fall hand towels, kitchen towels, and bathroom towels throughout your home. These decorations are great because they are also useful. Towels are bold enough for people to notice and so you do not have to have many other decorations because towels are in almost every room in a house. The towels are also useful and have a purpose so they serve two purposes.